Mr. Gyamfi who showed up for the programme hosted by Kwami Sefa Kayi, expecting to partake in the discussion for the morning, was asked to leave the studio upon his arrival. He insulted the show host because of the alleged Samuel Ofosu-Ampofo’s leaked tape saga. According to him, Chairman General as the show host is popularly called, did not play other leaked tapes from the New Patriotic Party (NPP) but played Ofosu-Ampofo’s leaked tape. 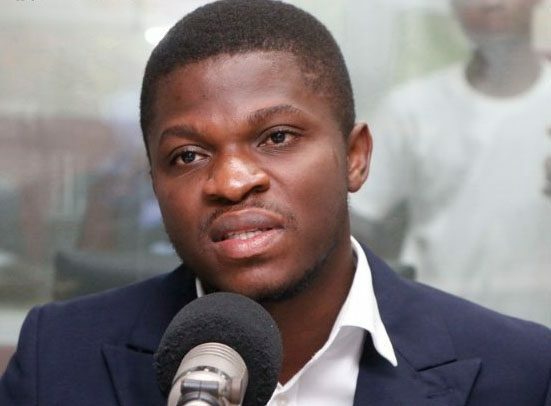 “This bunch of hypocrite journalists will never play leaked tapes on their shows so far as they have negative repercussions on the NPP,” he said. “However, they are quick to play leaked tapes that involve the NDC like we are seeing today,” Sammy Gyamfi said at the time. Kwami Sefa Kayi who was surprised that Mr. Gyamfi was able to come on his show after insulting him on another radio station, asked him to leave his studio. Initially, the NDC national executive who sounded unapologetic. Panel members on the show, including former NPP Bantama constituency MP, Henry Kwabena Kokofu and Tarkwa Nsuaem NPP MP, George Mireku Duker asked him to apologize but he reluctantly did, insisting it was in the past and that Sefa Kayi could not use his platform to settle old scores. However, the show host was forced to allow him make his submission after he refused to walk out of the studio. © 2019 Daily Guide Network. All right Reserved | Powered by Tuttifrutti.